Experience Movies By the Boulevard 2019. 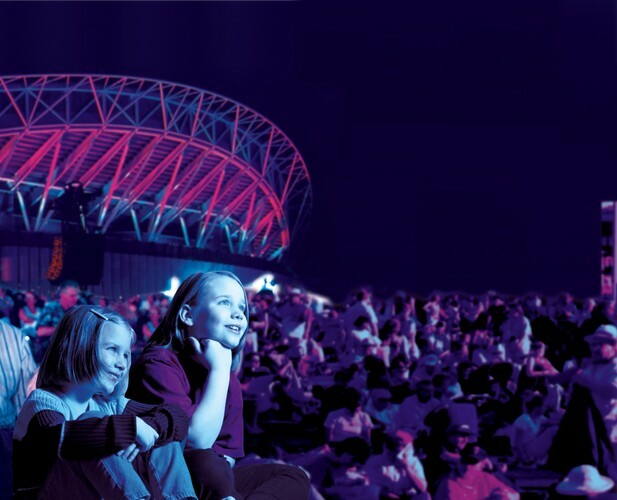 Among the most popular events on the Sydney Olympic Park summer entertainment calendar, Movies by the Boulevard will return for its eighteenth year of free cinema under the stars during January 2019. Held at the iconic Cathy Freeman Park on Olympic Boulevard, the 2019 series of free Movies by the Boulevard will be presented by Sydney Olympic Park Authority in partnership with City of Parramatta Council, and will operate from Wednesdays to Sundays, between 12 and 27 January. Features will commence screening at 8:30pm on all 12 nights. A quality selection of food and beverages will be available for purchase, or movie-goers can utlise the Uber Eats drop off zone to have their favourite meals delivered to Cathy Freeman Park from 6:00pm. Attendees will also find a great range of cafés, bars and restaurants trading across Sydney Olympic Park. Pre-movie activities will be on offer from 6:00pm on selected nights and people attending Movies by the Boulevard are welcome to bring packed picnics as well as cushions, rugs or low chairs to the event. Movies by the Boulevard has entertained hundreds of thousands of Sydneysiders since its inaugural season and around 30,000 people are expected to attend the 2019 series. For more information about events at Sydney Olympic Park, visit Sydney Olympic Park website.